NASCAR is back, and it’s good news for both fans of stock car racing and fans of quirky factoids about superstition. Given, the latter might be a small demographic, but when you learn more about the various superstitions that surround the world of NASCAR, you may soon find yourself a card holding member of the club. Don’t believe us? Read on to find out some of the stranger of the NASCAR superstitions. The more superstitious of NASCAR drivers will avoid peanuts altogether in a seemingly absurd superstition. However, this superstition is rooted in a very real concern in the history of the sport. Peanut shells on the track used to be a serious problem that actually caused a number of accidents during races. While this tends not to be the case nowadays, the superstition still holds strong. 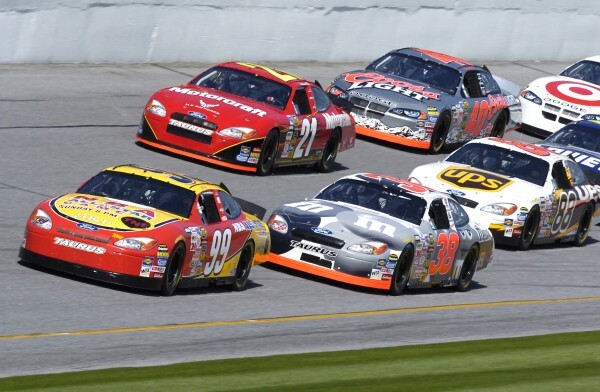 While the green of a shamrock or four-leafed clover is most closely associated with good luck in certain parts of the world, in NASCAR it is quite often the opposite. In fact, many drivers will refuse to wear green or drive a green car. This superstition is said to date back to the 1920s, when a driver crashed and died while driving a green car. This superstition spans across a number of sports, but certainly none are quite so stringent as NASCAR drivers when it comes to leaving the face unshaven. Whether it is because of itchiness while wearing a helmet, or just a long hold superstition from George MacKenzie (who was killed in a wreck on the day that he decided to shave his beard), this is one superstition that is not going away any time soon. You might wonder who exactly might have a $50 bill in their possession at any given time, but you won’t find the answer to that on a NASCAR track. This superstition has disputed origins, but just know that handing a driver a $50 bill before a race is a big no-no…and not just because you will be $50 less rich. Perhaps this one goes without saying, but since 13 is considered one of the most unlucky numbers, it is no surprise that NASCAR drivers would jump on this superstition as well.